Kylie Bertucci Independent Demonstrator Australia: Always Thinking of You | I love STAMPIN' BLENDS!!!!! Always Thinking of You | I love STAMPIN' BLENDS!!!!! I started with a Pineapple Punch card base. Using Memento ink, I stamped the butterfly image onto a piece of Whisper White and cut down to have a 5mm border around all edges. 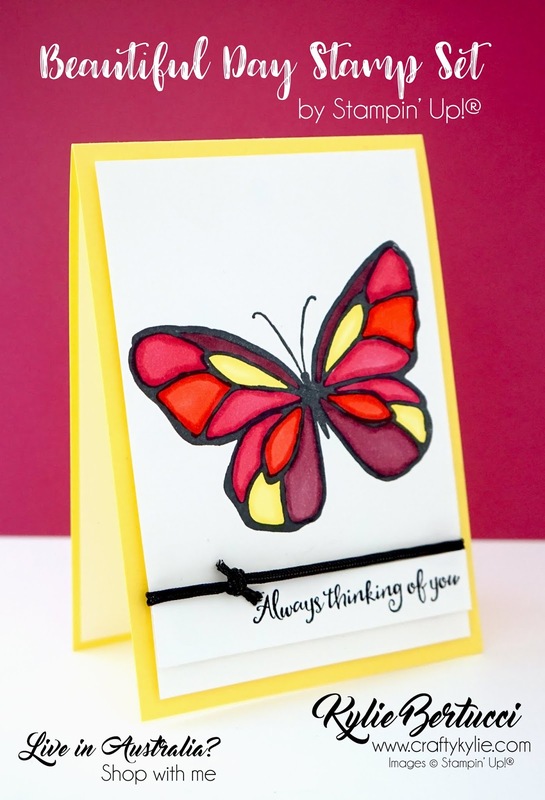 I then used Stampin' Blends to colour the Butterfly, both light and dark. I used the following colours - Aren't they fun and vibrant colours?? You can click on the colours and see everything that you can get in that colour. I love Stampin' Up!® for its incredible colour co-ordination.